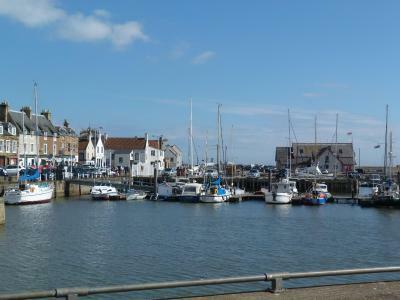 Lock in a great price for The Waterfront – rated 9.1 by recent guests! Nice room but no view. Restaurant was very good and the breakfast was hot and fresh. Room and bathroom we're clean and fresh. The location was good--close to docks and boat to Isle of May (and puffins😊). Pleasant staff and the included breakfast had a fruit selection and glutenfree option. 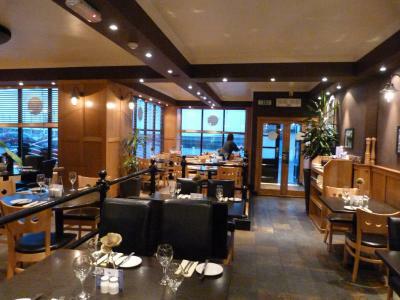 staff friendly and nothing to much trouble, super clan and tidy great food too. Comfortable room within walking distance of everything. Breakfast was good. Restaurant near by associated with accommodation. Meals were excellent. Staff pleasant and helpful. Room spacious and clean. Room was clean and quiet but no view of the sea. 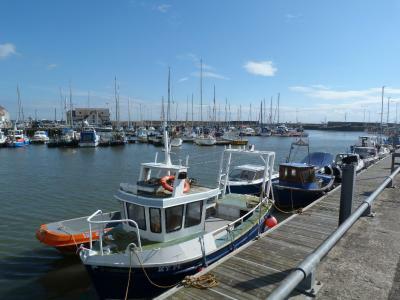 However we could use a common room with exceptionally beautiful views of the port. The waterfront restaurant offered excellent and reasonably priced seafood for supper. Breakfast (included in room price) was also delicious offering an extensive choice of options like eggs benedict and pancakes. 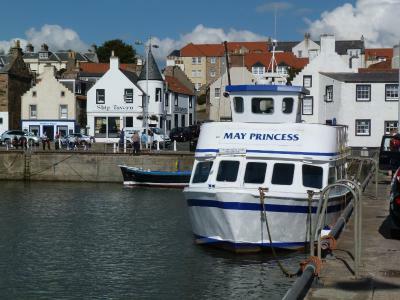 We walked the coastal trail from Pittenweem to Crail. Great walk. Very friendly staff, would highly recommend the meals...smoked haddock lasagne is amazing !!!! Newly redecorated. Spacious room. Nice soaps. Friendly staff. Good breakfast. The Waterfront This rating is a reflection of how the property compares to the industry standard when it comes to price, facilities and services available. It's based on a self-evaluation by the property. Use this rating to help choose your stay! 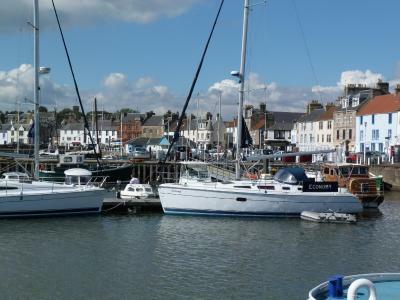 One of our top picks in Anstruther.Just a few steps from Anstruther’s harbor and marina, with views of the Firth of Forth, The Waterfront offers 4-star accommodations with breakfast included and free Wi-Fi. Its restaurant has a charming modern glass and timber facade. Rooms are individual, with contemporary décor and traditional wooden furnishings. Shortbread and fresh flowers are included upon arrival, and a selection of bath soaps are featured in the bathroom. A full cooked breakfast is provided each morning, and meals ranging from chicken stuffed with haggis to fajitas are served in the oak-paneled restaurant. During the warmer months, you can dine outdoors in the pretty courtyard. 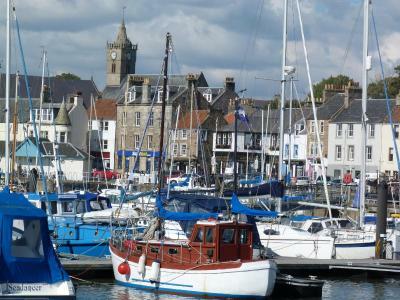 St. Andrews is only 9 miles from The Waterfront. A wide range of restaurants is available along the shoreline, and a choice of stunning golf courses can be reached in a 25 minute drive. When would you like to stay at The Waterfront? Complimentary bottled water, shortbread, and a range of teas are included in this room, along with a selection of bath soaps. Each also has a Freeview cable TV. Please state bed type preference on booking. Complimentary bottled water, shortbread, and a range of teas are included in this room, along with a selection of bath soaps. Each also has a Freeview cable TV. This twin room has a barbecue, DVD player and electric kettle. This twin/double room features a electric kettle, barbecue and DVD player. This twin/double room has a DVD player, electric kettle and barbecue. 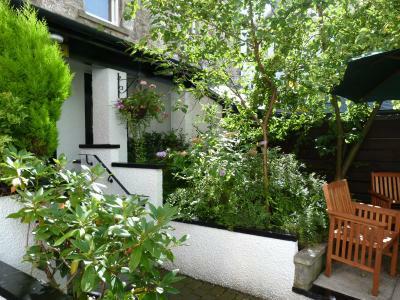 This double room features a barbecue, dining area and electric kettle. House Rules The Waterfront takes special requests – add in the next step! The Waterfront accepts these cards and reserves the right to temporarily hold an amount prior to arrival. Nowhere on the premises to enjoy a coffee. No communal area to sit and chill. Asked mid morning and mid afternoon if could just sit and order coffee / cake but was told that no - it was main meal service only - even though there were plenty of tables available. Made us feel rather unwelcome. Luckily little coffee shop on the corner was much more welcoming. Could not access wi-fi. Operation of TV overly complicated. noise from outside kitchen ,as room was close to kitchen but only until 10pm. Great value for money. Fantastic breakfast. Bedroom size great for single. Lovely en suite and plenty of wardrobe and drawer space. Tv and wifi, couldn't ask fir anything cleaner or fresher. Excellent all round. Excellent accommodation staff friendly polite was in room 6 at top of building great room bath an added bonus. Breakfast fantastic great choice. Will go back. N/A they tick all the boxes here, faultless. 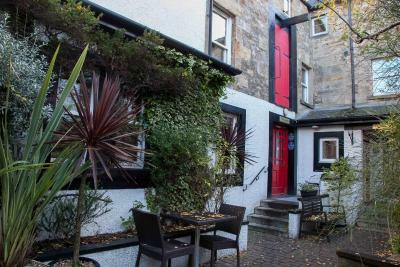 Beautiful little hotel, very friendly and welcoming, great food inc breakfast and the rooms tucked away around the back are just lovely. Staff are extremely friendly and make you feel very much at home.